CHÂTEL. 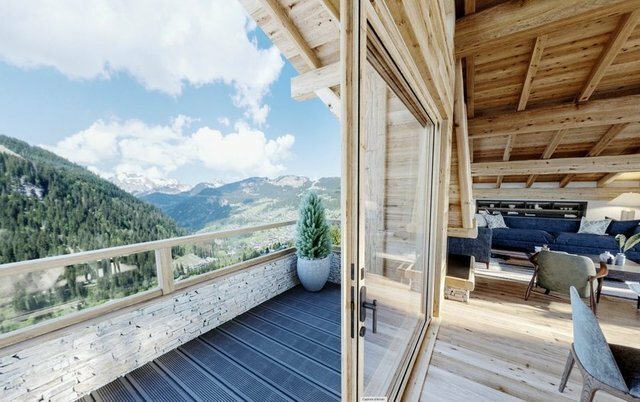 Located in a new luxury residence in the immediate vicinity of the ski slopes, this apartment has 129,15 sq. m.
It consists on the 1st floor of a large living room with fireplace and open kitchen of 42,22 sq, m. The sleeping area has 4 bedrooms, one with en-suite shower room and 2 additional shower rooms.